Vacations to Venice are set to become even pricier as the bosses of tourism start charging visitors to enter the city in Italy. In May, Venice will be introducing a booking system and vacationers will have to fork out for an entry fee, if they’re interested in exploring the much-loved destination. From 1st May 2019, to visit Venice, day-trippers will pay a flat rate of €3. However, the fee will increase near the year. From 2020, visitors to Venice will need to pay a standard fee of €6, rising to €8 in peak season. Authorities expect that by 2022, they will be capable of counting the number of people visiting the city and predict the busiest times so they can handle the tourist flow in a better way. Tourists who do not book will not be barred from entering the city but will find entry more complex, reported local paper Venezia Today. Not everyone will be happy to pay the fee, but, it implies for the day trippers only. The following types of visitors will be excused: those who reside in Venice and the Veneto region, local workers, students, family members of locals, children under six, disabled people and carers, patients in healthcare facilities, those taking part in sporting competitions, law enforcement, firefighters and volunteers. 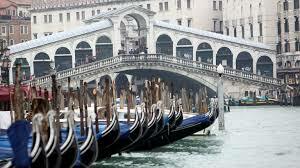 Future plans will see anyone born in Venice will not be liable from paying. Also, tourists staying overnight in Venice will not have to pay as they will by now be paying nightly tourism tax at their hotel. Checks will be carried out to make sure the day-trippers have paid the fee but they will not be invasive. “We are not going to militarise the city,” Brugnaro said at a council meeting on 4 February. “We intend to guarantee better livability for citizens, and above all, for the residents,” Brugnaro said.